With the Kerry result safely in the bank, it’s time to start thinking about this coming weekend’s match, the first home competitive outing (the FBD doesn’t count) for Pat and Noel. Tyrone provide the opposition at MacHale Park on Sunday afternoon (throw-in 2pm) and after their opening round loss at home to Monaghan Mickey Harte’s charges will be keen to get back on track. The Red Hand will have no fears taking us on in our place either, as they’ve a good record against us at MacHale Park. Two years ago, after we’d beaten Kerry in the opening round (holding them scoreless in the second half in the process), they got the better of us in controversial circumstances via a last-gasp penalty in a match we never deserved to win but should still have closed out efficiently. The most recent time prior to this that they played us in Castlebar was in the final round back in 2009, when both of us needed a draw to stay up and a draw was what we got. They beat us by two goals up in Omagh on the same weekend last year and while we, of course, did for them in the All-Ireland semi-final in 2013 and recorded League wins against them in Omagh in 2010 (on a day when Mark Ronaldson starred for us), 2007 (the day Mort scored three goals for us) and 2005, you have to go as far back as 1992 for our last League win over them on home soil. No more than the last day down in Killarney, then, this is an itch that’s well due scratching at this stage. For what it’s worth, the bookies reckon we’ll do it – Paddy Power have us quoted at 1/2 to win on Sunday. There’s no word, of course, at this stage about what kind of side we’ll be putting out on Sunday and I guess it’s likely to be Thursday night before we get to see the teamsheet. 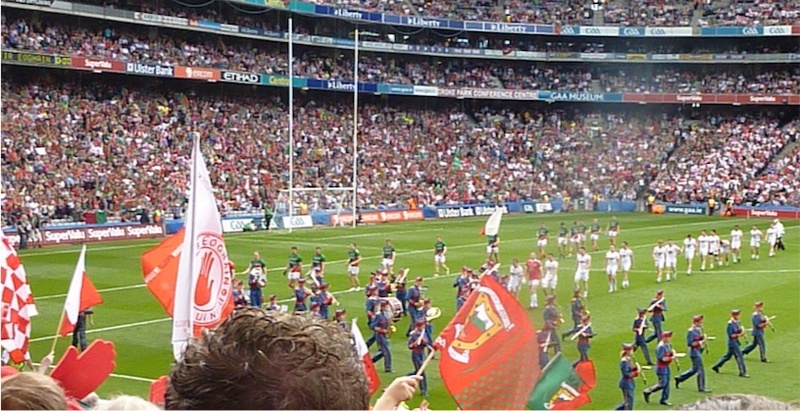 The only tangible bit of news – already mentioned in the comments – is that Eddie Kinsella, who reffed last year’s All-Ireland final, is the man in charge of proceedings on Sunday. He’s an okay ref and we last had him for the Connacht semi-final against Roscommon last June. Right, I feel a poll coming on – how do you think we’ll do against the Red Hand on Sunday? How will we do against Tyrone? I think we should go all out for a win, with a mini break coming up, it would be great to have 4pts. IMO Tyrone r not the same team they were, however should not n underestimated…but if we play to our potential we should win!! Beware the team the looses the week before….especially Tyrone. They are getting a bit of flak looking at a Tyrone forum and they will want to right the wrong of last week. If we play well and step we should win but you can never be too careful. We wont win every league game and this one coming up is a dangerous game. Its a game I can only see us winning. As far as I am aware they have lost some big players through retirement and injury. Loachra Gael is about Liam MacHale tonight at 8 pm. Confident of a win here based on both teams performances in first game. Tyrone had a real bad patch before and after half time against Monaghan. We should be aiming to keep things fresh and run the bench early. I don’t believe Tyrone have sufficent cover for Freeman, would be good to see more ball targetted towards him. The main thing after the win I’d hope we could do is not concede a goal while at the same time scoring one or two ourselves. This is a game in which we need to be carefull, Tyrone just won the McKenna cup and are not a bad team. Monaghan are a very good team, especially in the league. Tyrone, play smart football and won’t go down without a fight. We should win, but, after a battle, which would be of benefit to us. I wonder where what position you put cillian now that ronaldson and conroy and freeman did well against kerry. Cillian’s return brings real firepower to the attack. I’d like to see him and Freeman in the corners. Both like to take a cross field ball and then drive towards the goal. I though McLoughlin’s goal was a peach on Sunday. He got very little credit for it. Tyrone game will be a big step up from last Sunday. Tyrone have a lot more training under the belt and will certainly ask uusmore questions than Kerry did. Micky Harte will go all out for a win and will no doubt play a sweeper like he did the last time we played in Castlebar. Lets hope we deal with it better this time around. Cavanagh if played at full forward will give Kevin a real but welcomed test. This game will be down to the wire but I think we’ll get another 2 points on the board. Agree with some of the comments above that Tyrone will be a big step up from last Sunday. They will have a full squad to choose from and will be very fit for this time of year. This will be another niggly affair and likely to be a lot dirtier a game to the one in Killarney. A big test awaits us on Sunday but one I’m really looking forward to.. I was reading that Stat book today that was published a few years back . On the Dubs game I have a sneaky feeling Donegal could win in croker on Saturday nite and if it does then it would give them few things to ponder about. Has Tyrone a full panel to pick from ? I thought they were missing some players? Playing a sweeper against Mayo is, in my opinion, not the best tactic for opponents because it leaves one of our defenders free to attack from deep. And no better players to attack from deep. I said yesterday that, given all players are fit, I would like to see the team who started in Killarney lining out again [with Conroy in for Regan] on the basis that continuity would be beneficial. With the break coming up we could then allow the U21’s concentrate on their U21 campaign. There are sufficient older players [10 – 12 by my count] to get run outs. I would also like to see Alan Freeman played right corner forward, perhaps with a roving full forward. Can anyone tell me , if Sean Cavanagh suffered concussion as reported, will he be allowed play. Goal apart I thought freeman was very disappointing. It’s time he became more consistent. I’ve been waiting a long time now to be convinced he’s a go to player for us. Las good game was in semi v Tyrone two years ago. Harsh ? i think that the appreciation for this present mayo team is huge amongst our people at the minute . The so called house of pain image has made everyone more resilient . That’s a good question, Nephin, but such is the lackadaisical attitude taken in the game about concussion (which, lest it be forgotten, is an injury to the brain) I’d say it’s 100% certain that Sean Cavanagh will play on Sunday. Sure, didn’t he refuse to go off against Monaghan the last night even though he had got a bang to the head? This piece in the Belfast Telegraph shows how seriously concussion is viewed, with Mickey Harte admitting that “[A]fter some deliberation with the medical people he [i.e. Cavanagh] decided he wanted to stay on …” A clear breach of the protocols but sure Sean wanted to stay on and so that was all grand. It’ll take something really serious to happen on this front, I’m afraid, for everyone to wake up to the seriousness of the situation. After watched the Tyrone v Monaghan match, and anyone who thinks that because Tyrone were rolled over by Monaghan they might be a soft touch, has another thing coming. The weather seemed to change second half and Tyrone found themselves playing into a cold blustery wind with hailstones pelting them in the face, coupled with the fact that they had a man sent off for a very soft second yellow. Won’t help either that on last Sunday’s League highlights, Kevin McStay would have raised the shackles of Micky Heart by saying it was Tyrone’s worst performance under his watch – will we ever learn. 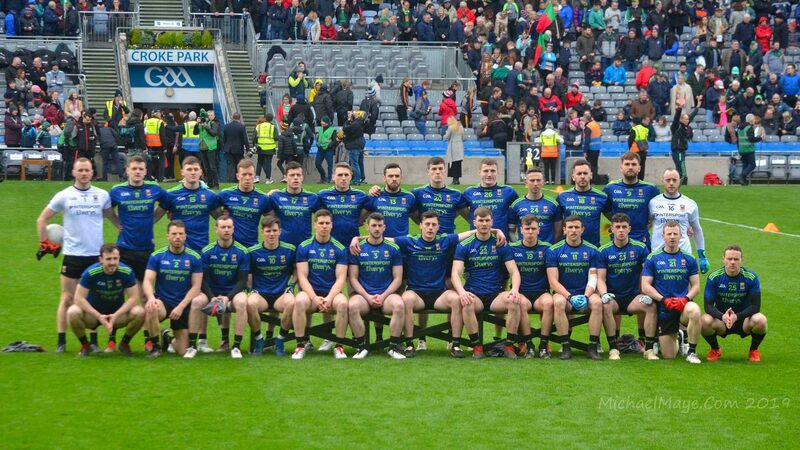 That said, winning breeds confidence, and after that solid start v Kerry, my feeling is they should be just about good enough to get the points. I’d say it’s harsh alright, Ted. Just going on the MOTM polls here on the site (not a scientific indicator I know but a useful barometer of opinion from the stands nonetheless) Alan got two gongs in last year’s League campaign for the matches against Kerry (in which he scored 1-5) and Derry (where he scored 2-6). Joe Mac , the most anyone could of one in my calculations would be eight , periods 1901- 1910, we won eight. And period 29-39 we won eight. Tis too early to look up was there any player who collected eight medals in them periods and I could miss my bus if I do go lookin. I wonder how would Alan Freeman get on at centre-half forward with Cillian O’Connor at full-forward. Alan might find it easier to get into the game then. You could always rotate the lads around too, moving Alan back into full-forward at times and Cillian out to centre-half forward. It might be worth a try anyway. You’d still like to see Adam Gallagher and Diarmuid O’Connor given some more game time as well on the half-forward line, as they are our future stars. The competition for places is hotting up! Freeman is very good at getting goals. If he’d scored three points from play you’d think he had a great game. I’m of the belief in terms of benefit to the team a guy who’ll get a goal every second game is worth it. We need to be getting one or two goals per game as a team. Thought McStay’s comments were particularly condescending, and if I was a Tyrone fan or part of management I would be annoyed. As if Mickey Harte owes anything to anybody. Yes McKenna cup will have the Ulster teams that much further along the road; they have to be because of the nature of the Ulster championship. A start for Richie Feeney and Kevin Gibbons,Eoghan Lavin, Conor O’Shea came off the bench in a NUIG defeat. That’s one serious full forward line featuring McBrearty and OConnor and only 10 points scored. Caolan Mooney at midfield as well, quite a powerful and fast player for this level.